Ellipsis Marketing: Welcome World of Beer! For all those beer lovers, drum rolls please... World of Beer is now right here in Dublin, California. Situated perfectly in the Regal Cinema complex on Hacienda, it's the best place to grab a beer and have some good time with friends and family. They have over 300 types of beers, a large collection of wine and spirits. Plus the food is amazing. I have already tried it twice! 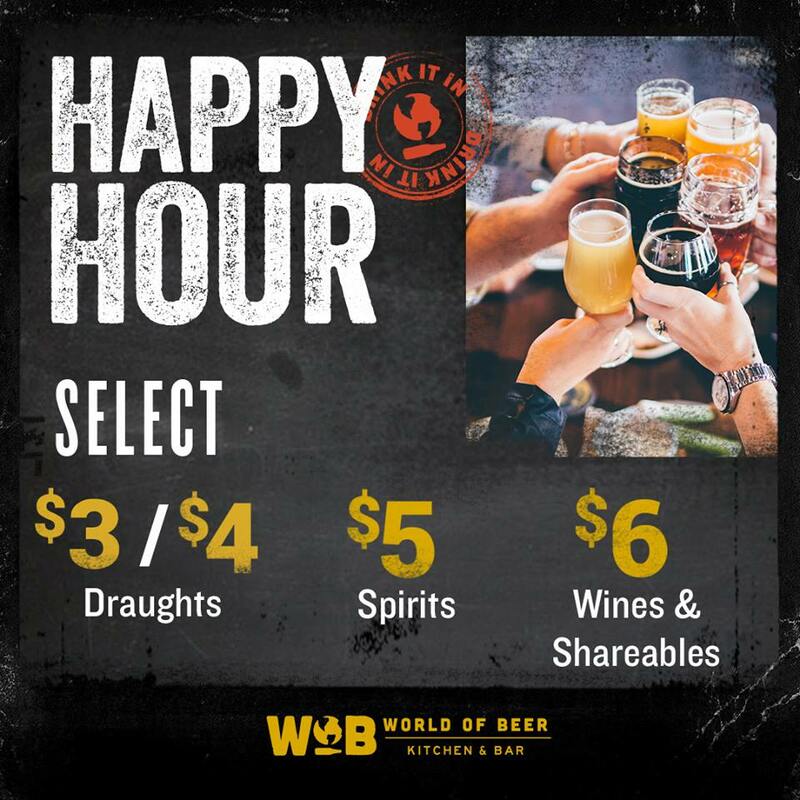 Next time when you are in town, let's grab a beer at World of Beer! [2018-10-12] Love tech? You'd lovvee Aloft!